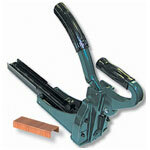 A side arm foot stapler is designed for the rapid assembly of corrugated trays. 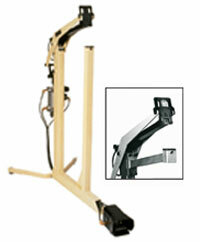 The side arm design allows the user to place a tray over the anvil without the post getting in the way. 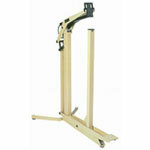 If you would like more details on this type of foot stapler please call us for information. It is commonly used for the industrial packaging of heavy product. 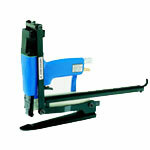 A pneumatic stapler allows the operator to maintain a high volume tempo and increases productivity. 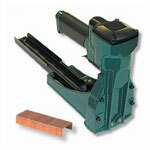 If you have higher volume packaging requirements a pneumatic stapler will pay for itself quickly. Carton Closing Corporation (now ISM) has been making this type of packaging stapler for over 50 years.